Tired of waiting in line just to have a cup of freshly brewed coffee? Do you sometimes wish that you could just prepare it at home? Is cleaning the coffeemaker adding up to your stress? 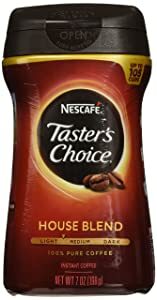 Make your life easier and enjoyable with these underrated instant coffee powder and granules from the world's best coffee makers. They may be instant, but they are surprisingly packed with the same ingredients used for preparing fresh brew coffees. Starbucks is known for skillfully mixing bitterness and sweetness in many of its original blends, which is apparent in its own instant version of the popular Colombian Arabica coffee. This is also preferred by many coffee lovers because of its strong walnut flavor. Apart from its nutty taste, the Colombia coffee is favored by many coffee drinkers because of the tradition involved with its preparation. If you like your coffee to just have the right amount of acidity and roasted flavor, this Starbucks version will not disappoint. A lighter and smoother taste can also be achieved by diluting one 0.11 oz. packet in more hot water than what is suggested in the directions found in the packet. 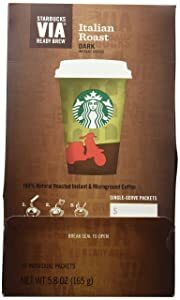 This packet of micro-ground Arabica coffee beans was originally created for Starbuck's first store in Pike Place Market in Seattle. 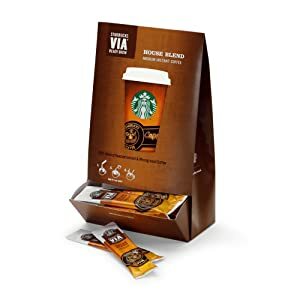 The instant coffee's flavor has hints of cocoa and nuts, which complements with the signature sweet and roasted taste of most Starbuck's coffee blends. The 5.8 oz. box comes with fifty 0.11 oz. packets of the ethically-sourced grounds beans. Each packet is enough to make a cup of strongly-flavored coffee. While the instant coffee's shelf life is only eight months, it does live-up to its claims of replicating the aroma and taste of a fresh brew Starbucks coffee. Similar to Starbuck's house blend coffee, the Italian brew is also made of 100% roasted Arabica coffee beans. This time, though, each 0.11 oz. packet has a darker, bolder and more robust taste than the house blend. This is because the Italian style of roasting uses very little oil, and shorter time, as well as a much lower temperature than standard roasting. Therefore, it only takes about 10 seconds to stir it in a cup of hot water and get your morning dose of perfectly roasted coffee. With this Italian-style roasted coffee, others have found themselves replicating the classic Italian macchiato. Simply empty the packet into less hot water, stir, add some steamed milk, and line the top with caramel sauce. This granulated instant coffee is made of organic Arabica coffee beans as well. 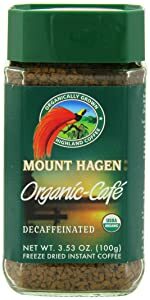 Unlike the other Arabica instant coffee makers, Mount Hagen explicitly announces its beans are sourced from the highlands of Germany. One 100-gram jar of the instant coffee can make more or less sixty cups depending on how strong you’d like your coffee to be. 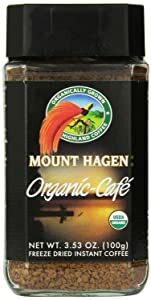 The Mount Hagen instant coffee was processed using the freeze-and-dry method. This ensures no preservatives and additives interfere with maintaining its organic flavor. Although this brand is weaker and less-flavorful than other instant coffees, it could last between six to twelve months in the jar without absorbing moisture and getting spoiled. It also makes good cold beverage. A pack of this instant caffeine-free coffee comes with six 3.53 oz. jars, which is enough to make sixty cups of Arabica coffee sourced from highlands. Also guaranteed to be free from any preservative and additive, the coffee beans are processed in such a way the flavors and aroma are left intact. Mount Hagen uses a patented method to produce this instant coffee product. Apart from being 100% organic, it is lightly roasted. This gives each cup of the decaf coffee a smooth texture and a flavor known by coffee experts as a city roast. While most of these instant coffee products are as expensive as their fresh-brew versions, they are made to meet the standards of those that have been very careful not to veer away from the widely-accepted ways of preparing coffee. Instant coffees nowadays are not only tastier, but they are more practical than preparing coffee fresh off the grinder and the coffeemaker. You don't need to spend money on fancy equipment just to enjoy the same benefits of a brewed coffee. This instant coffee from one of the most popular hot and cold beverage manufacturers in the world is flavored with hazelnut. 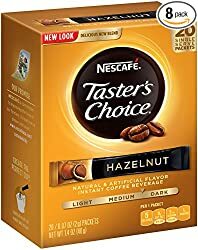 In spite of Nescafe's emphasis on the flavor both in the box and the packets though, the hazelnut does not overcome the essential taste and texture of a great coffee – smooth and roasty. A box of the hazelnut coffee includes eight packs with twenty sticks each, which could last at least six months. Although you are recommended to use six ounces of water witch each stick, most people who drink this brand advise using less water to retain its nutty and roasty aroma and taste. When stored in room temperature, the instant coffee can have a maximum shelf life of one year. Said to have been made of only pure coffee, this instant house blend comes in 7 oz. canisters that can last for more than half-a-year depending on how much you'd use per cup. The recommended amount per cup is a teaspoonful even though these ground coffee beans were only roasted light-medium. Therefore, even if you'll use less a teaspoon, you'd still get a full-bodied flavor. As you may already know, the lighter coffee beans are roasted, the more of its flavor are retained. While some of its drinkers complained about the missing markings on the pack to determine its expiry, none ever complained about it tasting bland even after the standard shelf life of instant coffee products, which is twelve months. A pack of this product contains 200 sticks, each with 1.5 grams of granulated instant coffee. 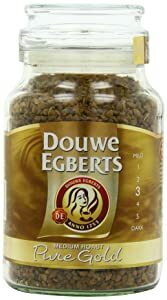 Most of its drinkers find the aroma strong with hints of the fresh brew version of the Douwe Egberts coffee, although the taste itself is not as robust. This is probably caused by the partial-hydrogenation process that its manufacturer uses on its coffee beans. In spite of its slightly-compromised flavor when prepared black, a bit of sugar and cream can change all that. Some coffee lovers claimed a brown or a white version of this instant coffee can easily be mistaken as fresh-brew. Furthermore, the packaging keeps it fresh-tasting for a longer period than ground coffee in jars or canisters. 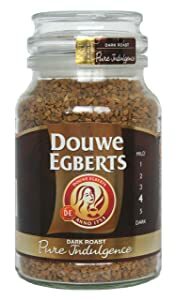 This is the same type of Douwe Egberts instant coffee-in-a-stick, but it's in a jar this time. The 200 grams of the medium-roasted granules can make at least forty cups of mild-tasting coffee, as long as each serving would only use a heaping of a teaspoon. The only disadvantage with this product is you will have to make sure the jar is kept in room temperature. Otherwise, the coffee can turn sticky and difficult to prepare. Other coffee drinkers find its foamy texture suitable for making other homemade coffee concoctions like cappuccino and latte. This product of the popular Dutch coffee brand is also known to not overpower the drinker’s taste buds with its bitterness. This is one of the Dutch brand's premiere coffee products offered in a glass jar. This is said to have been processed using the traditions of the 250-year-old company, so storing it in a jar doesn’t compromise the fuller taste and aroma of the granulated coffee. 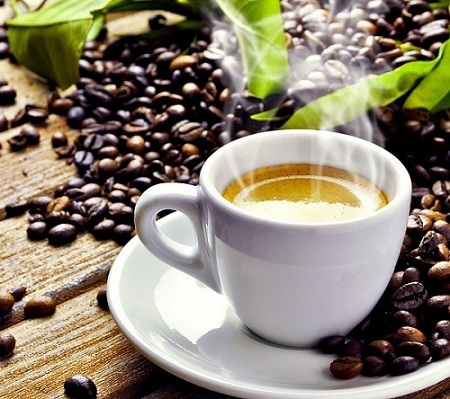 Some coffee connoisseurs actually find the crystals interesting but never thought the taste and aroma could be the same as the dark-roasted coffee bean, which has just been prepared fresh from the grinder, straight into the coffee maker and into their cups. Although it doesn't claim to be organic, Pure Indulgence is said to taste natural and without any hints of chemicals in it. A pack of this popular brand of coffee has three 8 oz. jars. These are enough to make 360 6 oz. cups of coffee. Processed into coffee crystals by using freeze-drying method, it easily dissolves even in cold water. This means that no aroma and flavor get stuck at the bottom of the glass. Unlike other instant coffee granules, this classic does not disappoint when it comes to mixing it with milk or creamer. According to fans of this American favorite, it doesn’t take a lot of adjusting the amount of coffee, milk or sugar just to get the aroma and taste you want. Others also cannot determine whether the coffee is in fact decaf or instant when served hot, which is good for anyone who wishes to serve instant coffee to guests without getting embarrassed. A pack of this German instant coffee is enough to make eighty cups of flavorful coffee as it includes two 7.05 oz. jars. Made of pure ground coffee beans, this brand is said to not overwhelm a drinker's sense of taste and smell. One Amazon reviewer even testified it does not taste weird even if you'd start using it two years after its "best before" date. Although for your health's safety, you are recommended to refer to the expiry label on the jar. A lot of drinkers also noted its low-acidity level. Therefore, it wouldn’t hurt to drink several cups of it in a day. It is a versatile as well. 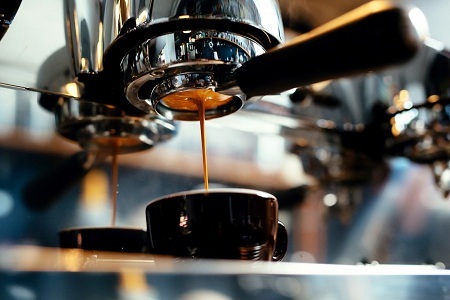 With less water, you can make an espresso with it to keep you active for several hours. Add more water in your original mix if you want it to give you the same effects of drinking tea for relaxation. Choose a quality brand - Try to look for freeze-dried instant coffee, as this remains closer to the flavor of brewed coffee compared to other types. Opt for granulated instant coffee than powder, since its flavor and consistency are often better. Always heat a fresh pot of water - Avoid reheating water that has been in the pot or kettle for a while, because this makes the water taste bad. If you don't have a kettle, you can microwave your water before adding your instant coffee. Be careful though, as overheated water in the microwave tends to explode if left unchecked. Follow package instructions, especially if you're trying a new brand - Pour just enough water to fill your mug, then adjust according to taste. Try to use the same mug and spoon each time, so you'll have a basis of measurement next time you make a new cup. 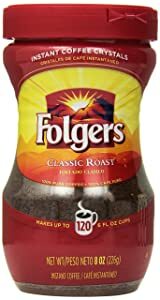 Add milk, cream, or sugar as desired - Many people like their coffee black, but you can add sugar if you want a less bitter brew. Adding milk or cream can help improve the flavor of the coffee, too. Low in Calories - Instant coffee contains approximately 4 calories per 6-ounce cup. This makes it a good source of caffeine, compared to sodas and other caffeinated beverages. Studies also show that drinking instant coffee saves you at least 40,000 calories per year, as opposed to drinking juice. Rich in Antioxidants - In 2012, Food Chemistry published a study, which states how freeze-dried instant coffee has more antioxidants compared to other types of coffee. The process of manufacturing instant coffee packs antioxidants, like flavonoids and phenols. Another study in 2013 showed that instant coffee, especially those that contained unroasted green coffee beans, contains high levels of chlorogenic acid, an important antioxidant for the cardiovascular system. Good for the heart - In 2010, the Molecular Nutrition and Food Research journal published findings about how instant coffee protects people from heart disease. According to the clinical trial, healthy individuals who drank a cup of instant coffee for five days showed a significant reduction in stress linked to chronic diseases. These findings propose that some components in instant coffee prevent certain chronic illnesses. Improves Glucose Levels - A 2012 study published in the Journal of Nutrition and Metabolism showed how instant coffee helps improve blood sugar levels. In the study, overweight individuals with glucose levels higher than normal were asked to drink five cups of instant coffee per day. After four months, tests confirmed that the individuals showed a slight improvement in their glucose levels. 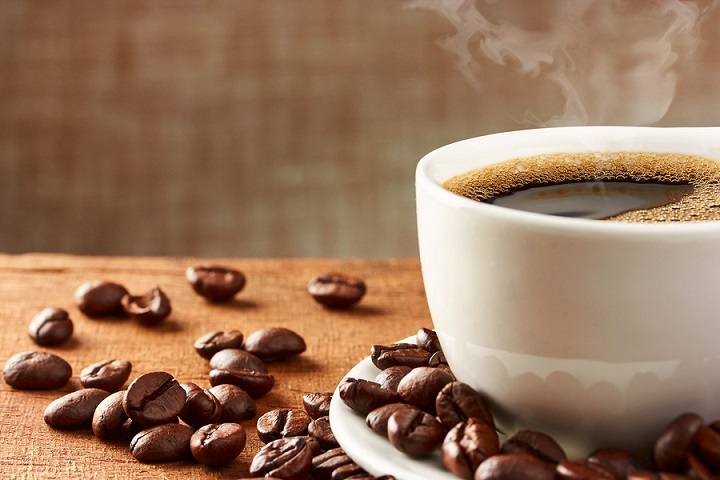 In 2006, Diabetes Care also released findings that showed how instant coffee can reduce the risk of type 2 diabetes, provided that the coffee is drunk black. Good for Hydration - While popular opinion claims that coffee is bad for hydration, this is actually not the case. Instant coffee offers the same level of hydration as plain water, so you can include it in your daily fluid intake requirements. Make sure to maintain a healthy balance though. Water is still the best way to keep you hydrated, so don’t forget to drink it throughout the day, coffee or no coffee. Also, gone are the days when instant coffees were viewed as instant health-hazards. With the increase in demand for healthier options, many instant coffee manufacturers have discovered ways to keep up with their competition. A lot of these companies now use processing methods that do not depend on chemicals and artificial flavors just to come up with a product that emits the same aroma and flavor of a fresh-brew coffee. At the end of the day, it is entirely up to you what type of coffee to drink. It doesn't matter whether it's instant or fresh brew. Just keep in mind that your options are not as limited as what you’ve thought it to be. 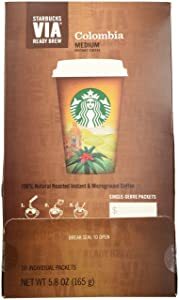 Hey, I am from India and I recently tasted a Vietnamese brand named G7 instant coffee. I want to know why you have not included it in your review, or if you have tasted it? If you have, I would like to know your opinions on it. Anticipating a reply soon. Thank you. Thank you so much for the great information. I always see and buy a particular brand sitting on the shelf of supermarket in Geneva, Switzerland. Now I know the names and would go for testing/tasting all brands you mentioned to love and buy my type of coffee. Thank you again.